Finding parking downtown during any big event can seem daunting. But I’m here to tell you that you have nothing to worry about! The biggest piece of advice I can give is this: take a FREE shuttle to the event! Skip the hassle of even looking for street parking (which might end up being really far from the event anyway) and opt for taking the shuttle from one of the three shuttle locations. You can pick up a shuttle from the YMCA downtown, Heartland Community Church, or Illinois Bank & Trust on E. State Street. 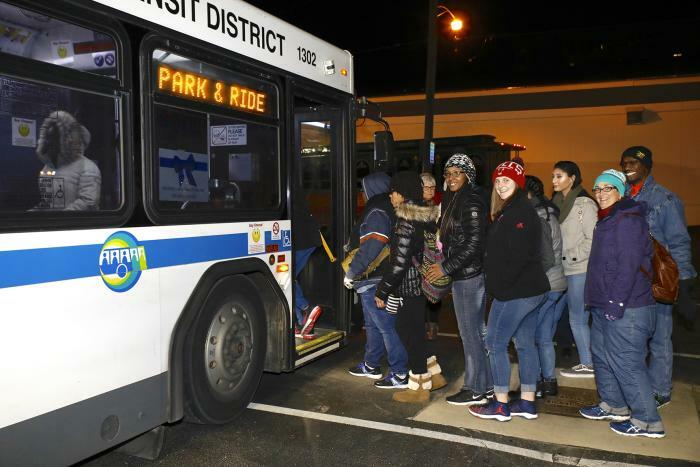 Shuttles start running at 2 p.m. and run continuously all day until 9:30 p.m. The beauty of the shuttle bus is that it drops you off right inside the Stroll grounds! Goodbye walking long distances to the event in the cold! There are also handicapped paratransit buses at the YMCA shuttle locations for those who need it. A big thanks to Rockford Mass Transit District for sponsoring the shuttles! 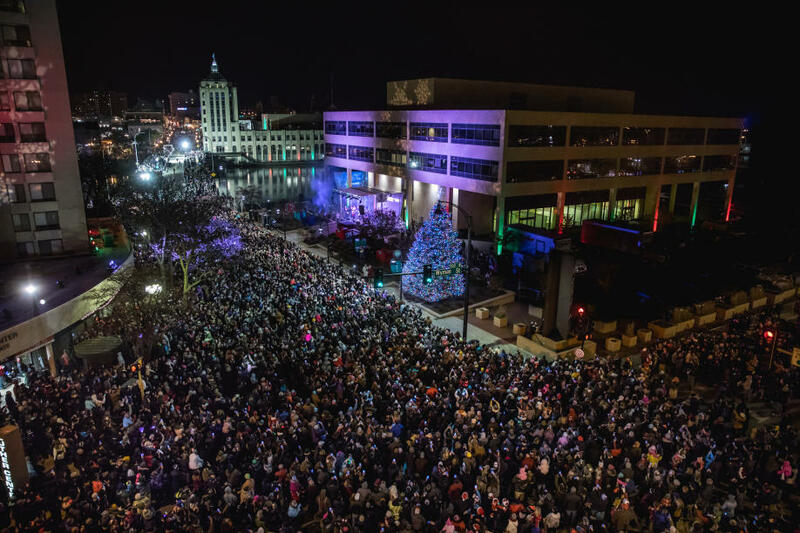 Stroll on State’s Merry & Bright Holiday Parade (sponsored by The Power Connection – IBEW 364 & NECA) is going to be even bigger and better than last year. I’m talking floats, marching bands, characters, Santa…and HUGE festive balloons! The parade starts at 3 p.m. and is one event not to be missed the day of Stroll, so make sure you’re prepared. First, just like in any parade, make sure you stake out your spot early. Any spot along the parade route is prime viewing area, but if you have a specific spot in mind you want to watch, make sure you start hanging out there in plenty of time. Another way to be prepared is to make sure you’re ready for the candy! Bring a bag or a coat with really big pockets so you have storage for the gobs of candy you’re bound to get. When I was a kid, my sisters and I loved writing our Christmas wish lists to Santa, and on Christmas morning, we usually got a little note back from him! 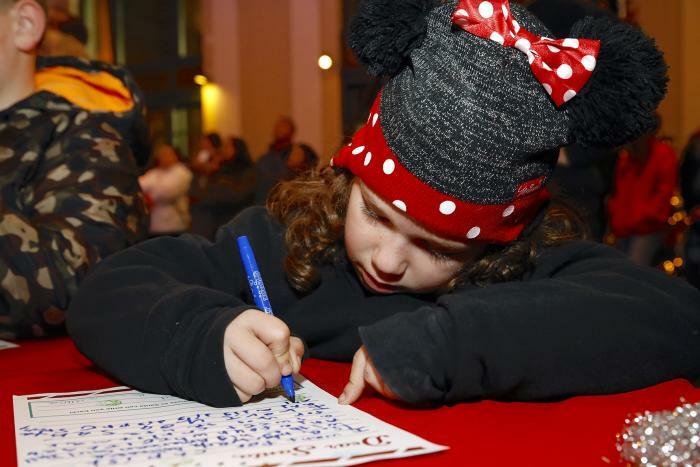 Kids at Stroll on State can have this same magical moment at Letters to Santa inside City Hall (sponsored by FurstStaffing/FurstProfessionals). There will be paper provided where kids can write there lists, and then drop them off in the special mail box that goes straight to the North Pole! Make sure you include return addresses though, because Santa will write back to everyone who writes to him! In the last year, I was lucky enough to become an aunt to a niece and nephew! 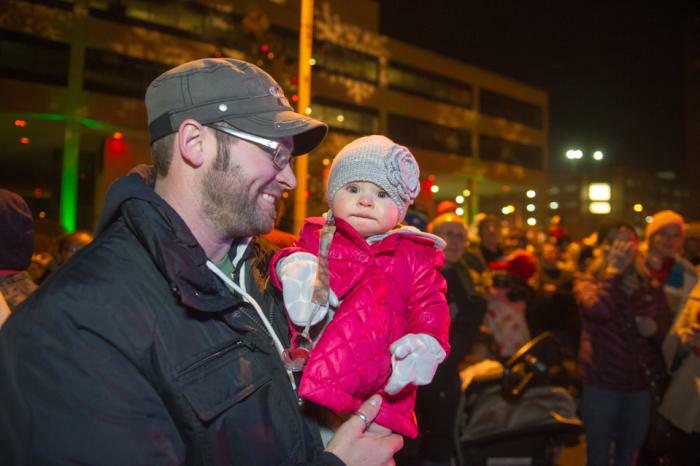 The holidays are extra special now with the additions of the little ones, so events like Stroll on State are even more fun when you have babies and kids to enjoy it with! We know that bringing babies can seem intimidating to parents, grandparents and friends, but we want to let you know that we welcome guests of all ages! And when the time comes that babies need to be changed, nursed, or maybe just take a break from the cold or crowd, parents can visit the Nordlof Center where there is a designated area for babies to be changed, nursed, or calmed down. 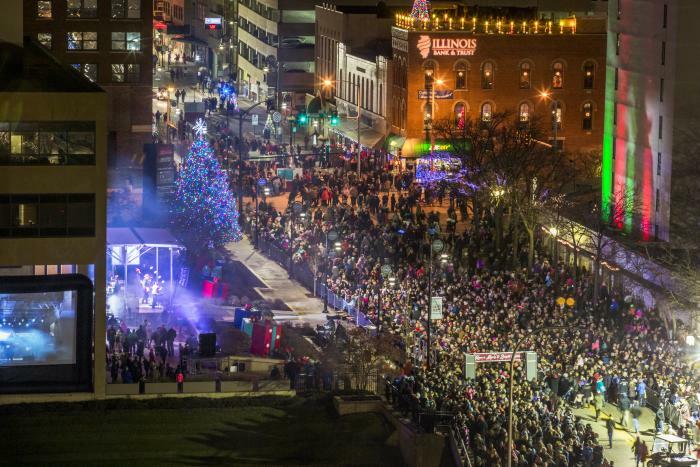 It’s no secret that the highlight of Stroll on State is the tree lighting! It really is a magical moment – guests all gather together, sing songs, count down to the tree lighting, and then watch the fireworks burst over the Rock River. It really is an experience to be in the middle of the crowd to watch the tree lighting, but if you get a little claustrophobic or feel like you need a little more space, I’ll tell you a secret…the tree lighting looks just as magical from down the street or even across the river! Feeling too crowded right in front of the tree, view the tree lighting from the side of the tree on Wyman Street! And just a word of advice, if you’re on the west side of the river during the tree lighting, plan on staying on the west side for a little while after so the crowd can disperse. You can still go to the indoor SantaLand, ride the horse & wagons, sip on hot chocolate, shop at Frosty’s Merry Market and more all on that side of the river. There you have it! I hope this helps you plan your Stroll on State experience a little. If you need more information or want to see what events and attractions will be at the event, visit www.strollonstate.com. 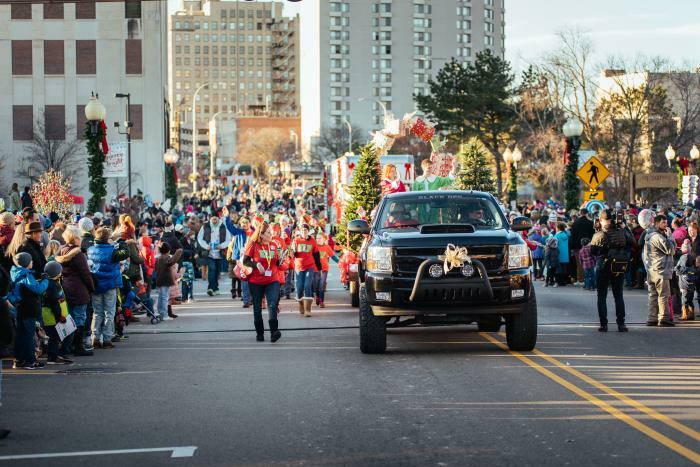 We’ll see you in downtown Rockford on November 24!